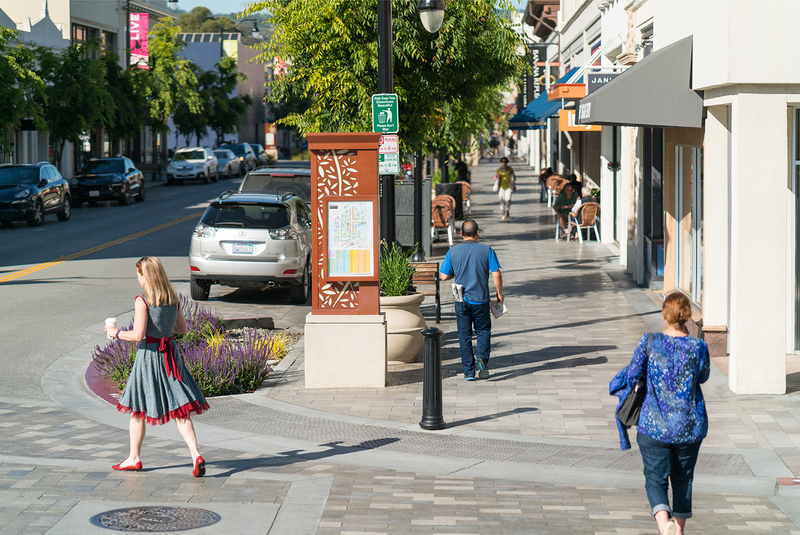 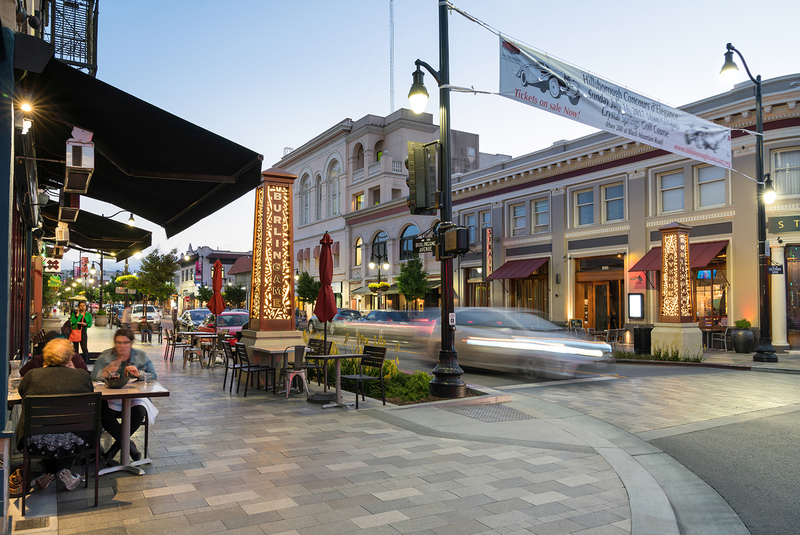 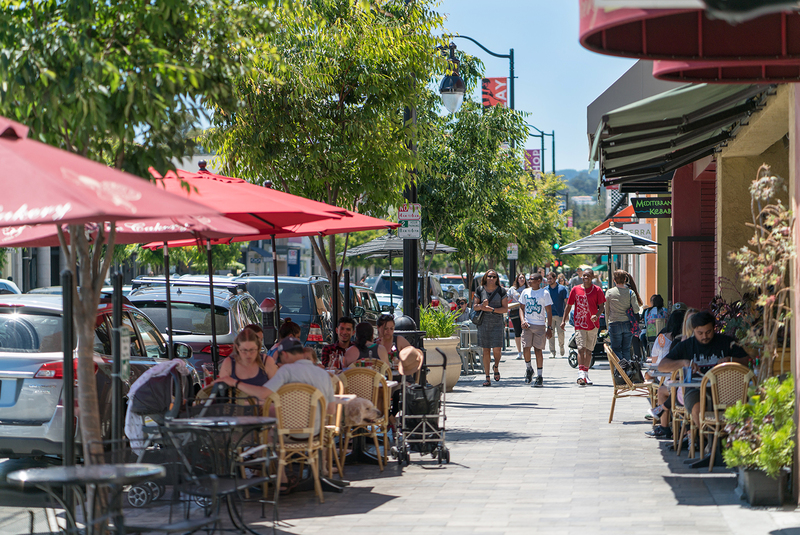 In coordination with planned utility improvements, the Burlingame Avenue Streetscape Improvements Project enhances the experience of the street between El Camino Real and California Drive for visitors and residents alike, creating a memorable street for shopping, dining and strolling. 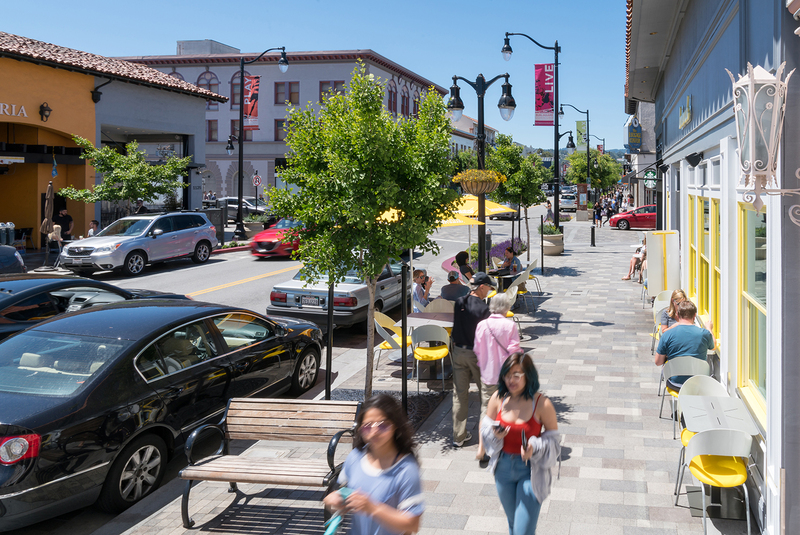 Informed through an elaborate public and stakeholder outreach process, RHAA’s improvements bring form to the visions and needs of property owners, merchants and the community. 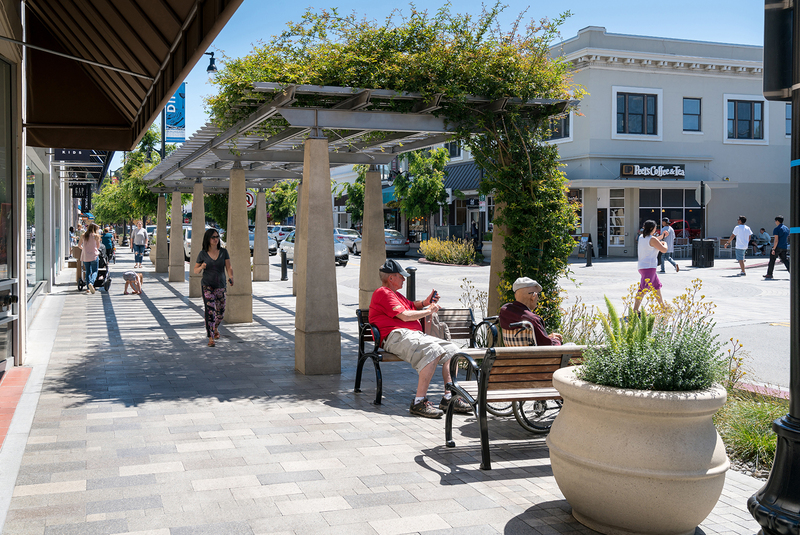 Streetscape improvements include conversion of angle parking to parallel parking to create wider sidewalks and street gathering spaces; bulb outs and improved pedestrian crossings at intersections; and enhanced paving, furnishings, and gateway features.